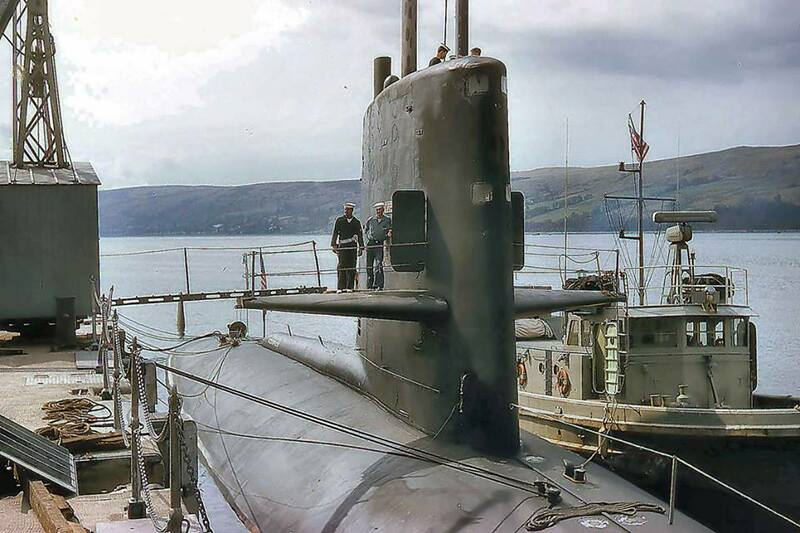 There should be no question in anyone’s mind that submarines are one of the most challenging duties any person could ever volunteer for. The men and now women who sail on these unique ships do so with the understanding that all care has been taken to provide for their safety but in the end, safety takes a place in line behind the word “mission”. I have spoken with combat veterans who faced live fire who told me that they could not see themselves serving on board one of these underwater craft. 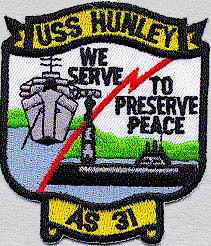 Yet year over year since 1900, American Bluejackets and Officers have raised their hands and taken an oath to defend the country while serving within the confines of a steel tube, closed on both ends, surrounded by the darkness of the world’s largest battlegrounds: the oceans. When things go according to plan, the crew submerges the ship, conducts their business in silence and returns to some port with stories they are not permitted to tell. Like the contents of a black hole, you are aware that something happened there, but it is only for those who participate to understand the whole story. Some spend a few years in this life and some spend a career. All have a unique story and all have seen and done things that range from the tedious to the terrifying. 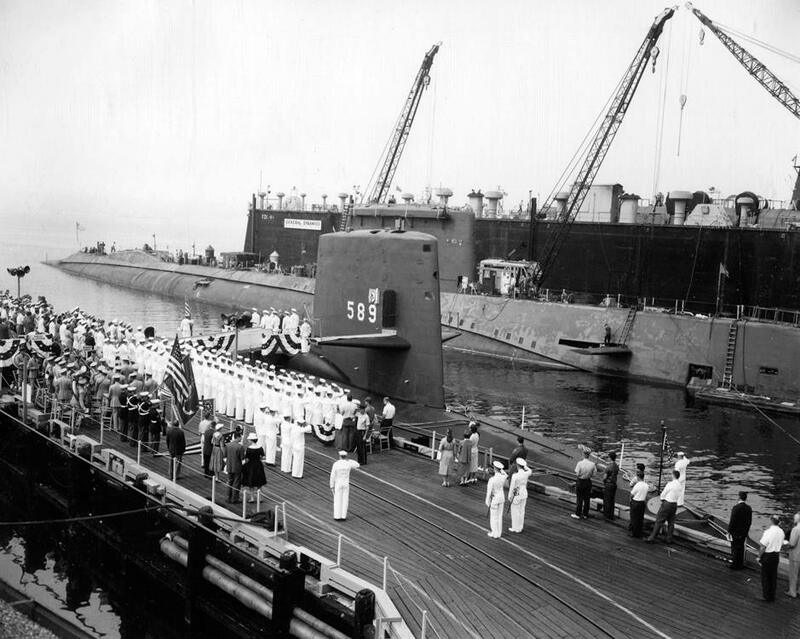 “USS SCORPION was laid down on 20 August 1958 by the Electric Boat Division, General Dynamics Corp., Groton, Conn.; launched on 19 December 1959; sponsored by Mrs. Elizabeth S. Morrison; and commissioned on 29 July 1960, Comdr. Norman B. Bessac in command. Assigned to Submarine Squadron 6, Division 62, SCORPION departed New London, Conn., on 24 August for a two-month deployment in European waters. During that period, she participated in exercises with units of the 6th Fleet and of other NATO navies. After returning to New England in late October, she trained along the eastern seaboard until May 1961, then crossed the Atlantic again for operations which took her into the summer. 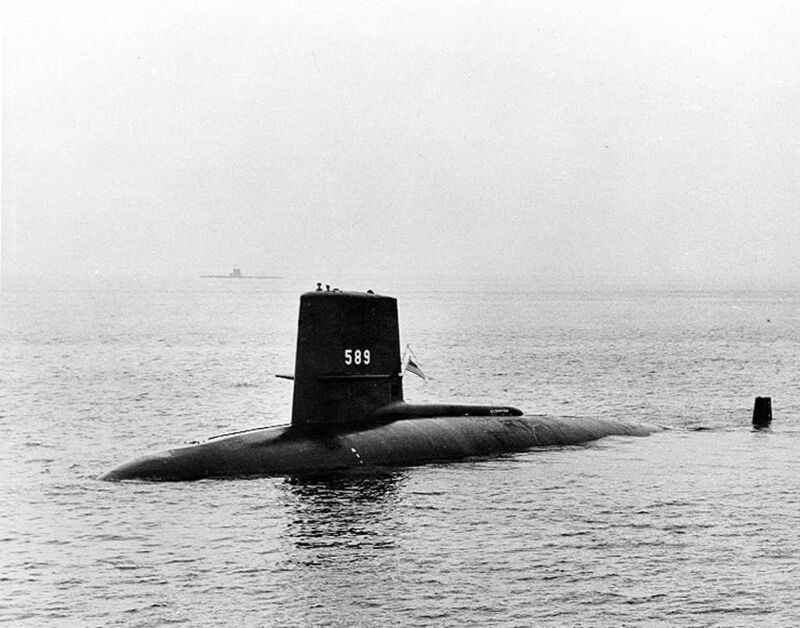 On 9 August, she returned to New London and, a month later, shifted to Norfolk, Va.
With Norfolk her home port for the remainder of her career, SCORPION specialized in the development of nuclear submarine warfare tactics. Varying her role from hunter to hunted, she participated in exercises which ranged along the Atlantic coast and in the Bermuda and Puerto Rican operating areas; then, from June 1963 to May 1964, she interrupted her operations for an overhaul at Charleston, S.C. Resuming duty off the eastern seaboard in late spring, she again interrupted that duty from 4 August to 8 October to make a transatlantic patrol. 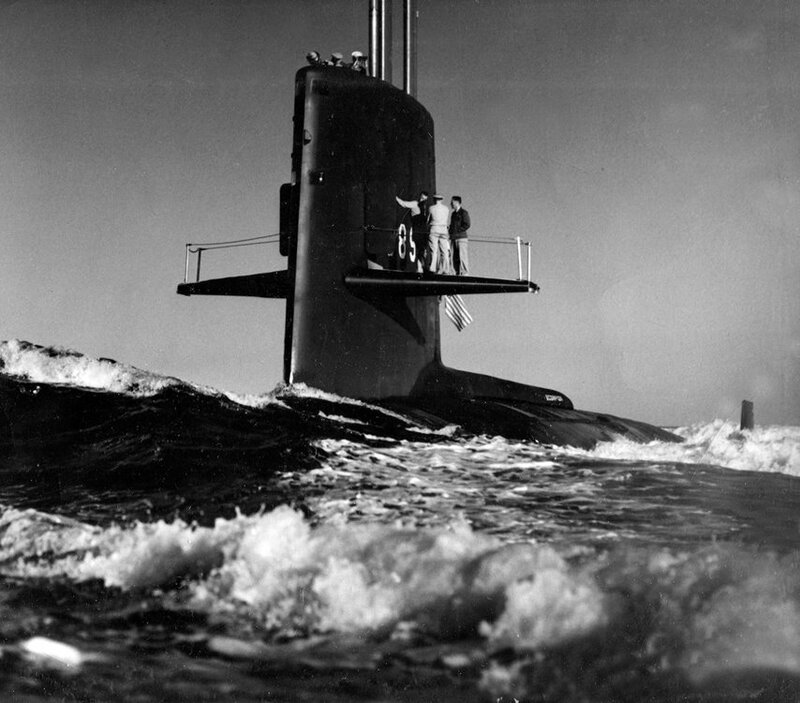 In the spring of 1965, she conducted a similar patrol. 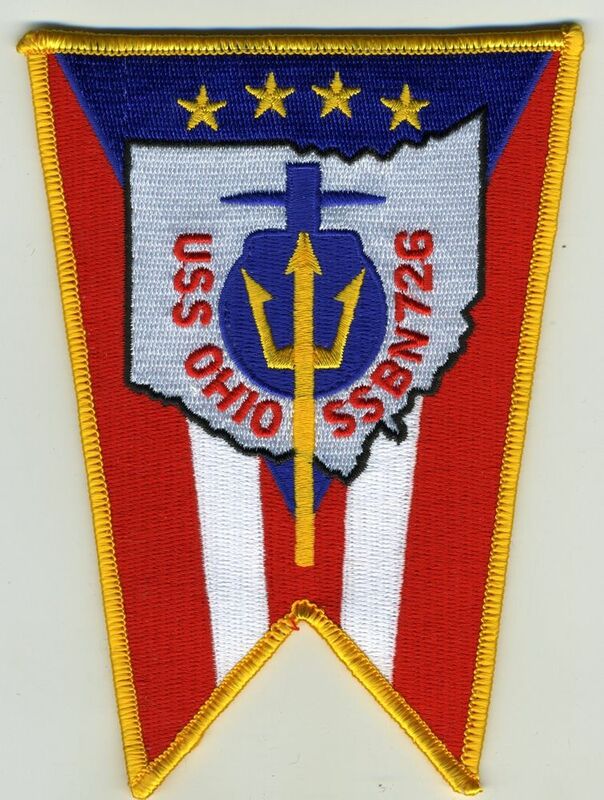 During the late winter and early spring of 1966, and again in the fall, she was deployed for special operations. Following the completion of those assignments, her commanding officer received the Navy Commendation Medal for outstanding leadership, foresight, and professional skill. Other SCORPION officers and men were cited for meritorious achievement. On 1 February 1967, SCORPION entered the Norfolk Naval Shipyard for another extended overhaul. In late October, she commenced refresher training and weapons system acceptance tests. Following type training out of Norfolk, she got underway on 15 February 1968 for a Mediterranean deployment. 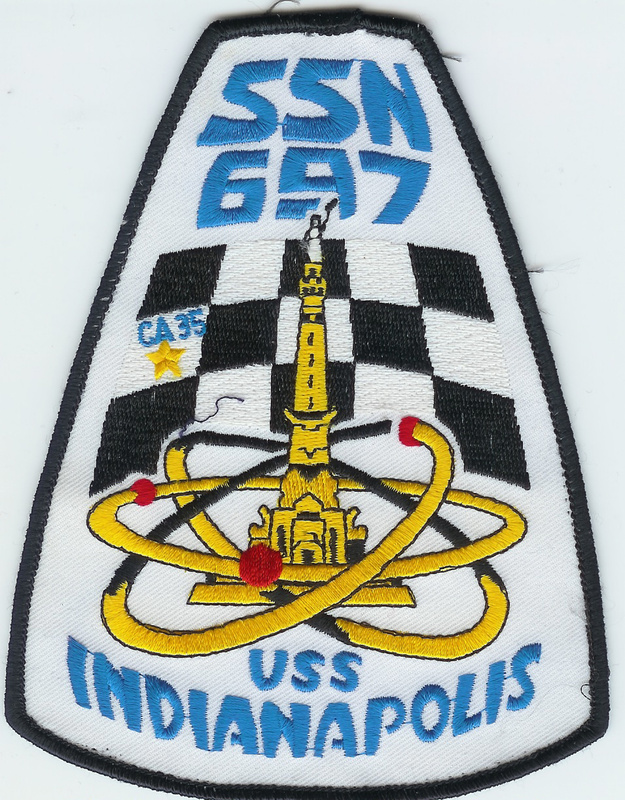 She operated with the 6th Fleet, into May, then headed west. On 21 May, she indicated her position to be about 50 miles south of the Azores. Six days later, she was reported overdue at Norfolk. 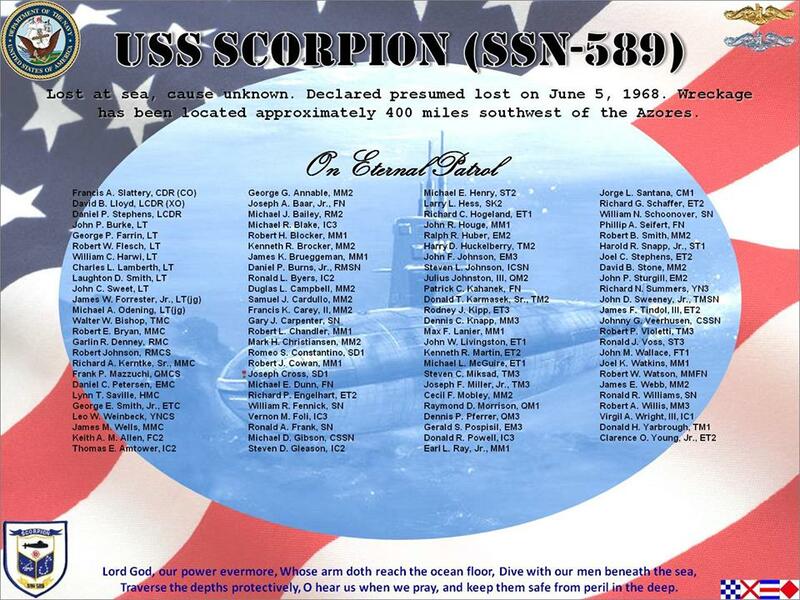 A search was initiated, but, on 5 June, SCORPION and her crew were declared “presumed lost.” Her name was struck from the Navy list on 30 June. 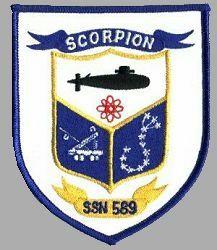 For an unusually long period, beginning shortly before midnight on 20 May and ending after midnight 21 May, Scorpion attempted to send radio traffic to Naval Station Rota, but was only able to reach a Navy communications station in Nea Makri, Greece, which forwarded Scorpion’s messages to ComSubLant. Lt. John Roberts was handed Commander Slattery’s last message, that he was closing on the Soviet submarine and research group, running at a steady 15 knots at 350 feet “to begin surveillance of the Soviets”. Six days later the media reported she was overdue at Norfolk. Over the years, many stories have emerged from people who were on active duty at that time that tell of a harrowing choice of alternatives to explain the “mystery”. I will wait to go on my own personal “Eternal Patrol” and try and find the crewmembers themselves to find the real answer. Until then , I just know they are gone. They are heroes in the sense that they gave their all for their country. For that reason, I salute their memory and pray for those who still traverse the oceans in these underwater vessels. May the number of dives and surfaces always be equal in the end.